Plank from United Tile Floor Finish. Plank from United Tile partnered with Valspar, a world leader in the aluminum oxide based floor finish business, to develop our unique dual-stain, aluminum oxide based wood floor finishes. 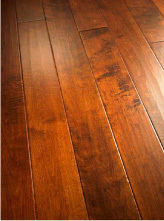 Finishes protect the hardwood floor without compromising its beauty-or the environment. When in a flooring store, please compare a Plank from United Tile floor finish to that of our competitors. Our super-clear coat enhances the look of the grain, and shows off every nuance of color, pattern and texture. 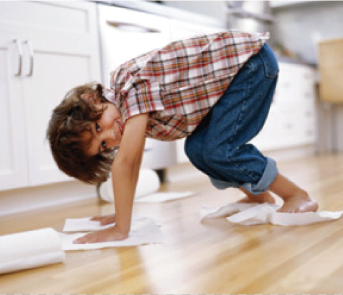 In contrast, other brands' flooring often has a milky layer resulting from inexpensive hardeners, clouding their finishes and diminishing the appearance of the grain.